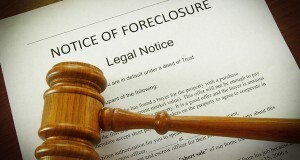 There is a dire need to minimize the number of foreclosures in California. As the state with the highest number of foreclosures in the country, more California homeowners are at risk of losing their home to foreclosure than homeowners in any other state. According to the latest figures reported by Realtytreac.com, in September 2009 there were 86,337 foreclosure properties in California, which represents one in every 154 housing units. Compounding the high number of foreclosures, as more Californians are seeking viable solutions, many of them are reporting delays, confusion and non-responsive servicers when trying to obtain loan modifications through the Home Affordable Modification Program (HAMP).